"Out of the Blue" 2003 32"x 24.5" overall. 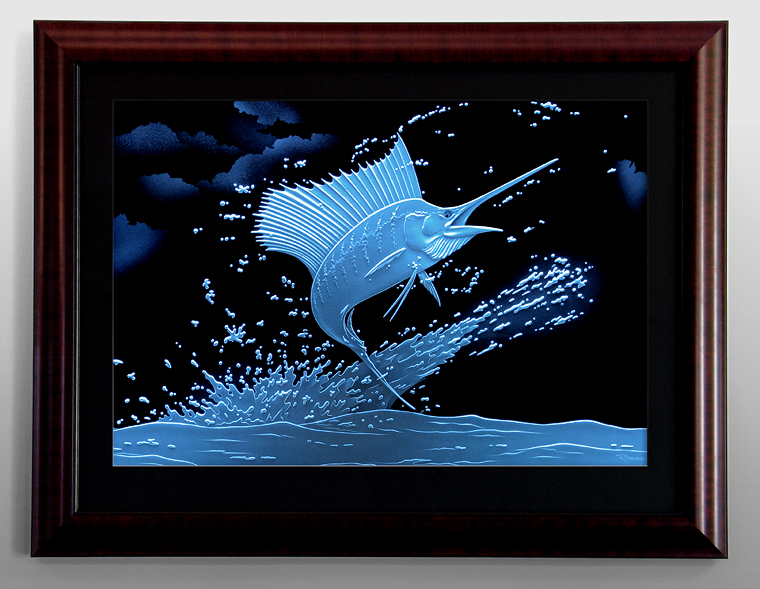 3/8" thick carved glass, framed with self-contained lighting. Copyright 2003 Randy Mardrus, All Rights Reserved.